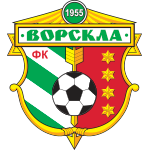 Vorskla: Shust, Peruduta, Chesnakov, Chizhov, Arthur, Yakubu (Karek, 55), Sklyar, Sharpar, Child, Kulach, Kolomoyets. "Karabakh": Halldoursson, Medvedev, Rzheznichak, Sadikhov, Gerry, Michael, Garayev, Slavchev, Delarzh (Ozobych, 87), Abdullaev, Zubir (Madatov, 73). Warnings: Yakubu, Sklyar, Chizhov, Sharpar-Garrij, Medvedev. The first episode - at the gates of "Karabakh": Perudata rushed a half-pole and clownly hanged to Kolomoytsya, after the head struck his ball passed along to the right rack. At the 13th minute, Abaz Abdullaev scored a 0: 1 kick from the 11-meter mark. For a long time, the team lost in martial arts, which did not go in favor of spectacle, but everyone tried to find a sphere in densely defensive structures of the Agdamites. At the end of the half-year, Kulach almost did not hit the "Karabakh" gate. Unfortunately, after the strike of the Poltava forward, the head of the ball hit the defender's shoulder, and the moment was lost. In the second half, the owners of the field were rebuilt with an emphasis on strengthening the staffing potential. The fire and desire Vorskians was enough, but with the completion of the attacks - well, no. One day, Karabagh frankly forged the defense of the hosts when no one of the players hit almost empty goal. 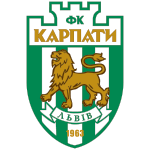 In the middle of the second half, the referee was forced to take away the squad from the field due to inappropriate behavior of people in the fan sector of "Karabakh". In the 84th minute, Sharpar gave him a shot from the depth to Kulach, who managed to punch the goal precisely, but straight to the goalkeeper. A total of 12 compensated minutes gave the referee a meeting to change the account. He had a chance to push the ball into Kolomoets' goal, but he was ahead of the defender for a moment. The child made the corner, Sharpar, jumped high, punched his head. Nobody turned out to be finished. The frankly level playing field brought the joy of day to the guests from Agdam, who scored their first three points. In another meeting, Arsenal and Sporting played a zero draw.